If you are a woman or a person of color living in Seattle, you are likely to earn between 44% and 71% of what white men earn. On the low end, median earnings for black or African women is $23,000, nearly half that of white men at $52,000. Black or African men fare little better, with median earnings of $24,000. Across race and ethnicity, except for Native Americans, women earn less than men, a difference more pronounced for white women than women of color. The reasons for these gaps have been studied for decades, and one of the biggest drivers is occupational segregation: people of color and women are more likely to work in fields or jobs that simply pay less. A recent national report on the gender pay gap shows that segregation by occupation and industry accounts for nearly 50% of disparity in earnings. Our analysis of Census data and data from the Employment Security Department shows that over-representation of women and people of color in low-wage industries likely explains much of the pay gap for women and people of color in our region. 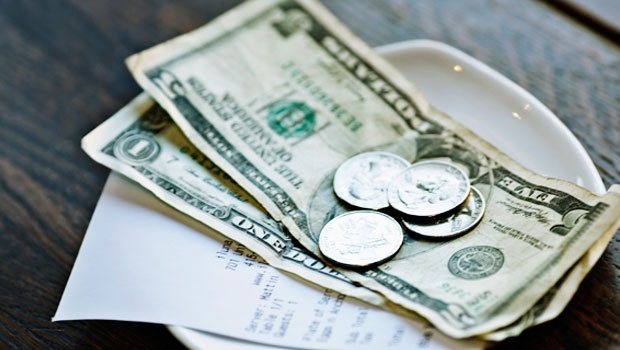 For example, in food service across King County, nearly 63% of workers earn below $15 an hour. 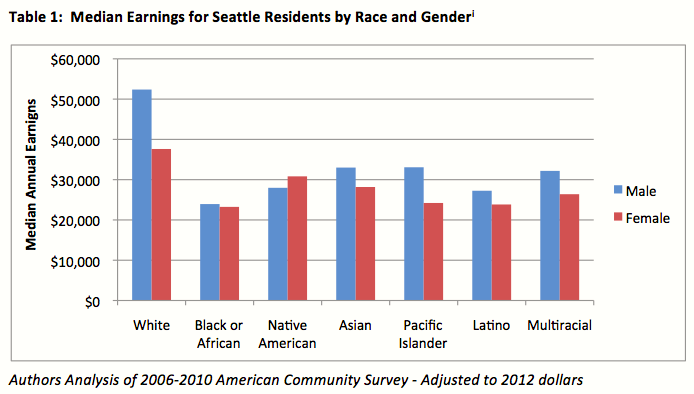 People of color comprise 45% of those low-wage workers, despite making up 30% of Seattle’s total workforce. The two charts below highlight the link between low-wage industries and who works in them. 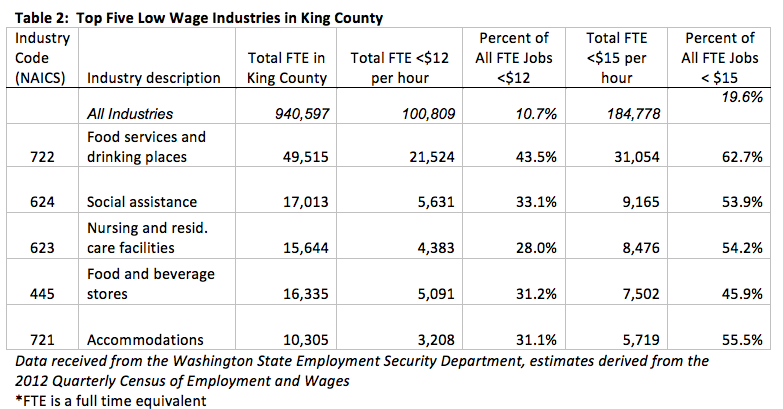 Table 2 shows the top five low wage industries in King County by two wage thresholds ($12 an hour and $15 an hour). 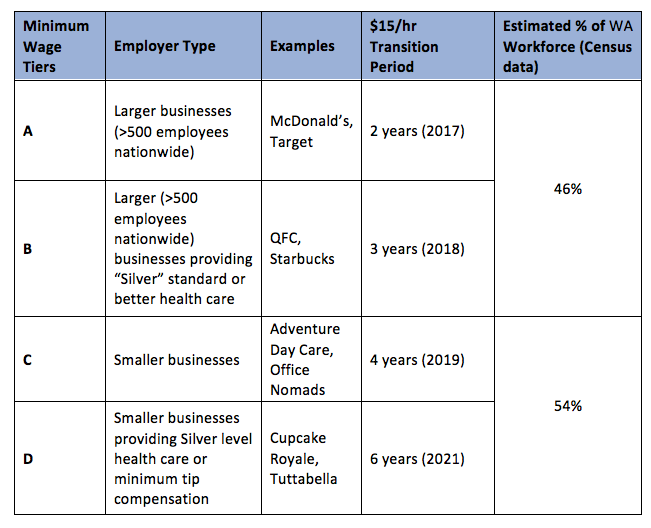 Table 3 further shows that people of color and women are over represented in the occupations common in these low wage industries. 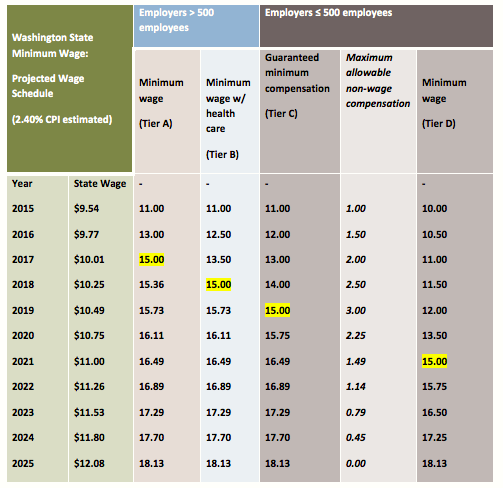 Raising the minimum wage in Seattle will provide a bigger earnings boost for both women and people of color. Based on sheer numbers, few policies available to a city like Seattle could do more to reduce race and gender income inequality. Categories: Living Wage Jobs, Racial Justice | Tags: disparity, gender, income, industry, inequality, living, low wage workers, metro, minimum, occupational, occupations, pay, person of color, race, Seattle, segregation, wage, women, workers | Permalink.